Are you a lover of coffee? Then this article is definitely for you and you alone. Spice up your taste and feel more excited whenever you take a sip of coffee with the special new branded InGwest Home 11-ounce Color Changing Coffee Mug. The Special coffee Mug was designed with a special feature which is to remain black and sad whenever it's cold and turns blue and happy face whenever it is filled with Hot Coffee. 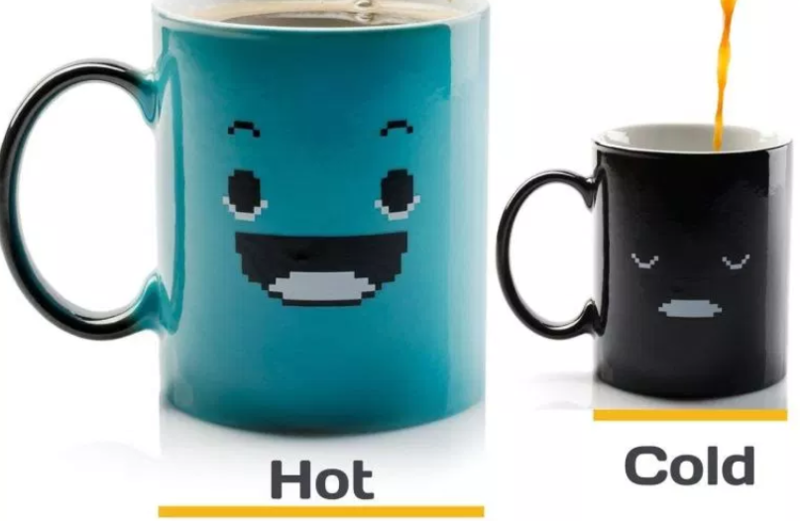 With this Mug, you’re sure going to have a nice time over a Hot Cup of Coffee at a very affordable rate of $14 only on Amazon.